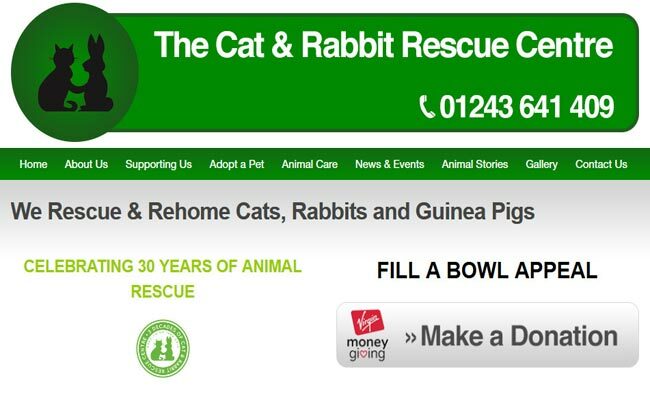 The Cat and Rabbit Rescue Centre is located in rural Sidlesham, in West Sussex. Since we started in 1986, we have rescued over 10,000 animals. We now have 51 cat pens in our 6,000 sq ft. rehoming and veterinary centre, 30 indoor rabbit and guinea pig pens, over 20 outside rabbit runs and 7 rabbit compounds. We are happy to provide free listings for recognised charities and voluntary organisations involved in pet rescue.